Spoilers ahead for A Time to Kill! At the height of the Dominion War and unknown to all save those in the highest levels of command, the Federation secretly armed the neutral planet Tezwa with devastating weapons -- part of a contingency plan against the Dominion if the front lines collapsed. But Tezwa also lies near the border of the Klingon Empire...making the Federation's covert strategy in direct violation of their fragile peace treaties, and creating the potential threat of scandal and all-out war. A Time to Kill is the seventh book in the nine-book A Time To series, and the first in a duology by David Mack. This novel also has the honor of being the first novel-length work by David Mack, a fact I had a hard time believing when I was finished it. The writing, pacing, and structure of this novel is so incredibly well-done, that it's no wonder Mack would go on to write dozens of Star Trek novels. The story involves a power grab by a rogue leader of the planet Tezwa. 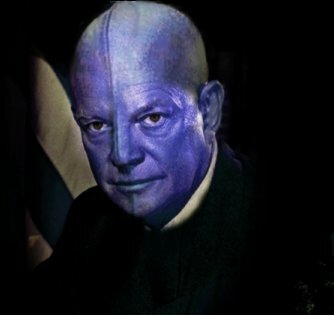 During the Dominion War, the Federation had entered into a secret agreement with Tezwa to station devastating weapons on the planet as a last-ditch option to counter Dominion forces, should the war force the Federation's hand. However, the proximity of the world to Klingon space meant that the placement of these weapons violated the Khitomer Accords, the foundation of peace between the Federation and the Klingon Empire. Now, the Tezwan leader, Kinshawn, is flexing his muscles and provoking the Klingons by claiming a Klingon colony near Tezwa's borders. When he uses the powerful cannons to destroy a Klingon fleet accompanied by the Enterprise, the Federation president, Min Zife, orders Picard to send teams to take the cannons out of commission. Federation President Min Zife's choices come back to haunt him in this novel. What follows is a fast-paced, intense account of the various teams assigned to take out each of the fearsome nadion pulse cannons on the surface of Tezwa. In many ways, A Time to Kill feels like a modern political thriller in the vein of the best of Tom Clancy. While the action quotient has been dialed up significantly by David Mack, other aspects of the story are also done quite well. The world-building of Tezwa and its people was of particular note, and I liked the depiction of the two major political factions as well as the individual members of the society. Additionally, the political machinations within the Federation government were similarly fascinating. President Zife's Chief of Staff, Koll Azernall, is particularly compelling. A Zakdorn (a race noted for their highly strategic minds), it seems that Azernall is the "brains" behind much of the administration's shenanigans. 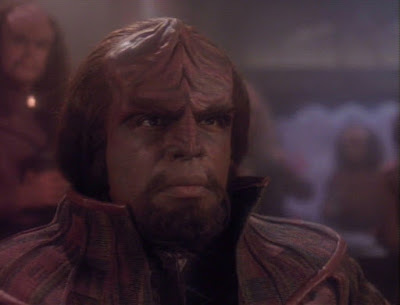 Worf's role as ambassador is used to great effect in A Time to Kill. I also loved Worf's inclusion in the story. In order to stall an impending attack by another Klingon fleet, Picard uses Worf's position as ambassador to gain access to the command codes for the fleet, halting them in their tracks. Worf's part in the story was a great deal of fun as he schemes to get access to the codes from a particularly dishonorable member of the High Council. The use of Worf in the story felt completely organic and not at all forced. I was happy to finally see the Son of Mogh play a role in this series! I feel that A Time to Kill marks a distinct shift in the course of the A Time To series. It feels like we are now in the real meat of the story. The previous duologies do certainly do their jobs in adding elements to the whole, but A Time to Kill really feels like we are getting to events that truly matter on the galactic stage. I have always liked far-reaching stories in the Star Trek universe, and the involvement of the Federation presidency along with diplomatic tensions with the Klingon Empire make this story feel much larger than the previous ones. Additionally, the way the story ends feels like a much better way to approach a duology within this larger series than the previous stories. While there are still hanging threads that will be followed up on in the next book, A Time to Kill feels like a complete chapter of the overall story with a distinct beginning, middle, and end. 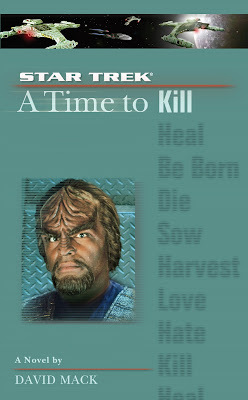 Very fast-paced and thrilling, A Time to Kill is a departure from a typical Star Trek novel. David Mack has his pulse on what makes a compelling story, and I found myself racing through the novel in a couple of afternoons. While the action is very well-done, it is not the only thing that A Time to Kill has going for it: the world-building and character work are similarly top-notch. The fact that this was David Mack's first novel-length Star Trek story is nothing short of amazing given the quality of the work. There are hanging plot elements leading into the next book, A Time to Heal, but A Time to Kill still feels like a complete story and more than capable of standing on its own. Superb! A TNG novel from back in the numbered days: #32: Requiem by Michael Jan Friedman & Kevin Ryan. Yeah this is a good one. Part 2 is even better, imo.